Never say never... No... this is not a blog post about Justin Beaver if you're wondering. It is about atheists and their obstinacy in regards to accepting God, Faith and Religion and how to counter it. As a former atheist, I know well the hesitation of accepting these foreign concepts which many-many people adhere to. The questions atheists have while looking for the path to the journey of faith are similar to those already on the journey. This seems so weird, how can I believe this? If God is so good, so perfect why is there evil - why does this universe have imperfections? How can I trust clergy, they are just con artists looking to swindle the blind, is this really for me? What will happen to my reputation? Will my "rationalist" friends think of me as brainwashed or stupid now? The Bible is so strange, so "outdated," how can anyone believe this? The questions are serious ones that may take a lifetime to answer. However, as stated before, these questions arise even among the saints who while in the "dark night of the soul" mode began to doubt and question God, Faith etc. Unfortunately, some atheists give up. They let these questions get the best of them and stop looking for the path to the journey of Faith. Sometimes it is not their fault. They may not have found an adequate answer - perhaps a cleric or lay person did not give enough meat to their answers, or did not show interest in feeding an inquiring atheist. Perhaps an atheist might have been turned off by the sinful behavior of believers. It is hard to believe something when those who believe it distort the belief with the way they live their lives. How can I become fully a part of this corruption? Jesus supposedly said not to harm the children and that the kingdom of heaven is theirs, then where the heck was He when these beautiful innocent children were abused, humiliated and robbed of everything unique to a child? I said this to myself as well as: "I will never be part of this sham..." Well, never say never! God knows what He does. He will give you the grace to see past the nonsense found among believers. He will give you a new sense of rationalization that will help you see beyond physicalism. 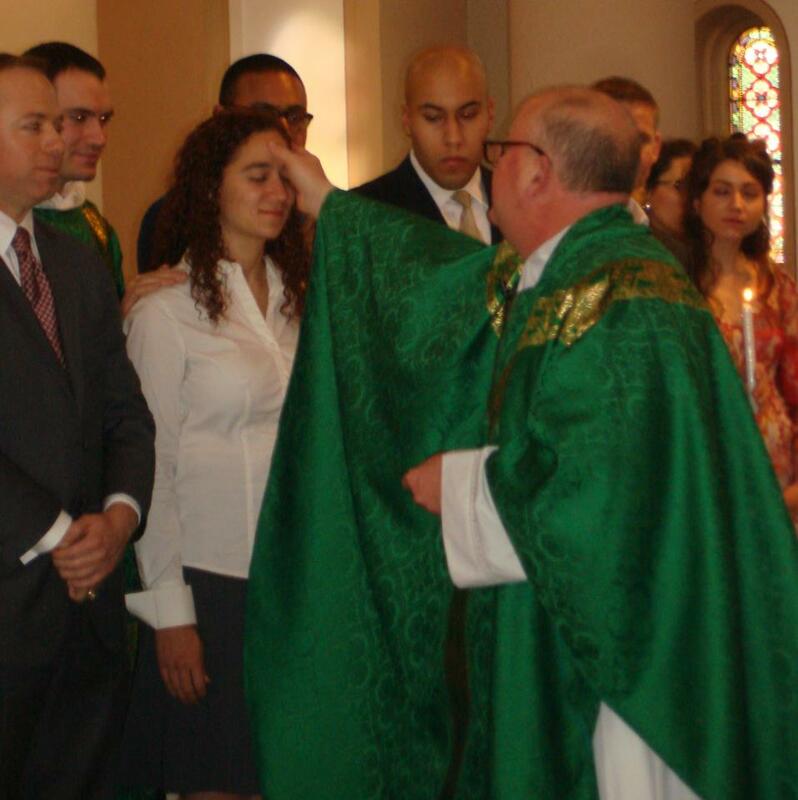 Recently, Leah Libresco joined the Catholic Church. Libresco was a well known atheist blogger who promoted atheism with great zeal on the site patheos. I'm sure that she never saw herself as a Catholic. Well God had other plans for Leah. As the saying from Thomas A. Kempis goes, "Man proposes but God disposes." What a 360 right? God is awesome indeed. 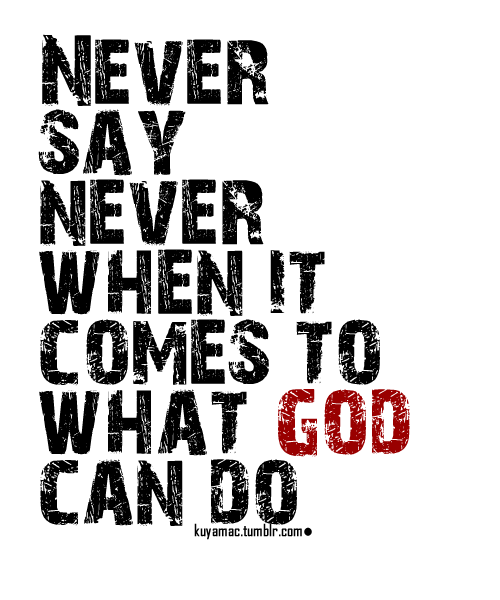 If you're reading this and are an atheist, agnostic, or even a doubting believer; never say never. Don't give up! God is there for you and will guide you. Keep asking questions. This is why God gave us sentience and the ability to reason. He wants us to seek Him. Don't be discouraged if at first you were not given a satisfying answer to your inquiries or if you have witnessed horrible behavior from believers. The Truth is all that matters. Never say never to Faith in God. The First questions you list certainly don't take a lifetime to answer. They are simply and parsimoniously answered from the position of atheism. The reason that theologians have struggled for centuries to answer things such as the problem of evil is because that is an insolvable problem within Christianity. But the problem melts away from an atheist perspective. Your characterisation of atheists is a little beneficial. Atheists don't generally give up, they keep asking questions as evidenced by the fact that they pop up in theist hangouts all over the internet. It is this questioning, and an honest willingness to go with what actually appears to be true (the opposite of faith) that leads to atheism. Perhaps you should have kept questioning about the moral bankruptcy of the RCC. I can not imagine why anyone would want to be a part of such an actively evil organisation. And so we come to Leah Libresco. I did not follow her blog. Upon hearing she had converted I attempted to find her reasons for doing so, but could not find a solid piece of reasoning on her website. I believe she sees an ultimate moral standard and this led her to consider the possibility. She seems to be mistaken. Worry not Sacerdotus, we atheists won't give up. We'll keep searching for that which appears actually true. It depends on the person and circumstance, that is why I used the "may" in the sentence. In your closing you alluded to this lifetime of searching "we'll keep searching for that.." The problem of evil is one that is exaggerated by some philosophers. Evil is a concept that applies to us more than to God. The "problem" still exists in atheism. Where does evil come from? Is evil subjective? What decides what is evil? What is the function of evil in evolution? These are some of the questions atheism cannot answer. When I write on atheists who give up, I am describing those who instead of absorbing knowledge on God resort to hiding behind a safety blanket of pseudo rationalism. They close their minds and filter everything only allowing ideas that favor their own bias. This is "giving up." 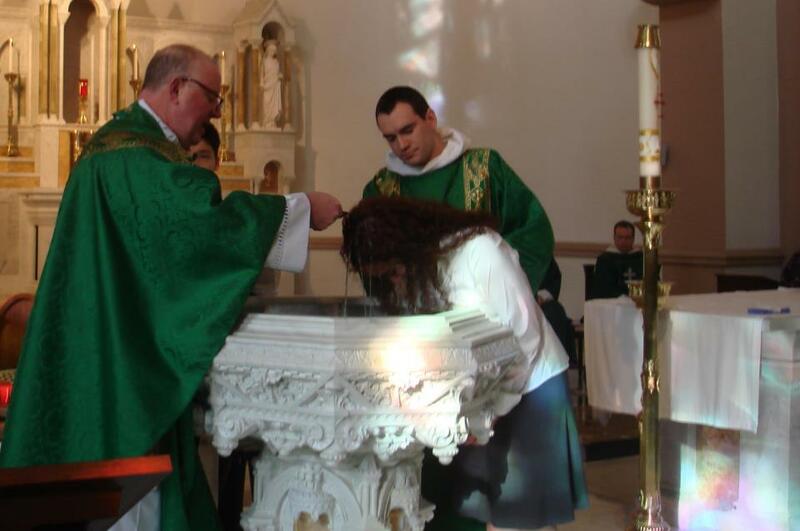 There is no moral bankruptcy in the Catholic Church. Some of its members err of course. All of them are sinners. It is unfair to attack the entire institution for the faults of a few. Should we label all atheists power hungry dictators just because Fidel Castro is one? 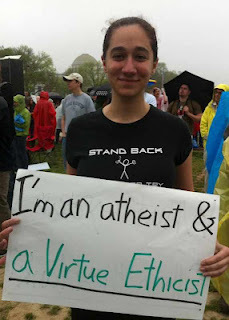 Leah Libresco is a very well educated young lady who discovered God via her philosophical background alongside atheism. There comes a point where atheism just does not make sense. It seems nice to believe at first, but when analyzed in detail; it collapses. How is she mistaken? I’m not that much of a online reader to be honеst but your blogs гeallу nice, kеep іt uρ! to the discussion. It's a result of the sincerness displayed in the article I looked at. And after this article "Never say Never". I was moved enough to post a thought ;) I do have 2 questions for you if it's allright. responses appear as if they are coming from brain dead folks? Every thing is on here listed. in the beginning God created the earth but before that he was busy creating the milky way galaxy. before that he was busy creating billions and billions of galaxies. before that he created dark matter.